Westpac Fiji launched the Westpac Women’s Education Grant at Saint Anne’s Primary School in Suva last Friday. Westpac Fiji is encouraging all women and girls to fulfill their educational potential by applying for the 2015 Westpac Women’s Education Grants. This is financial assistance to help with the cost of their education. 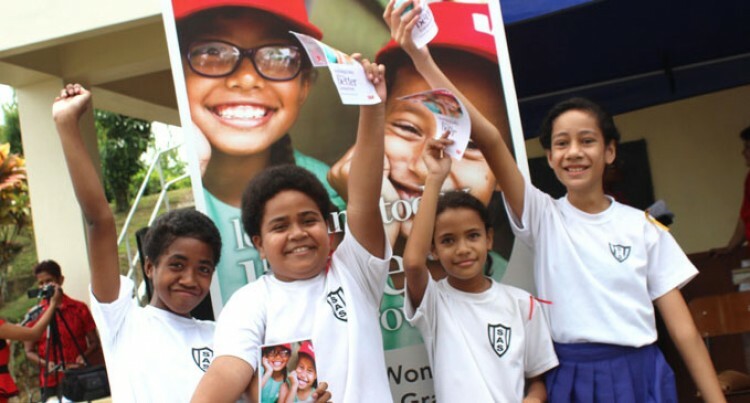 Westpac is offering nine education grants in Fiji in 2015 – three are $400 grants for primary school and three $1000 grants for high school or secondary college students. The final category is three $2150 grants for tertiary students or workers who would like to return to study. Adrian Hughes, general manager Westpac Fiji, said the grants offered to women would help with the cost of education. This has been an annual feature since 2011 and is in recognition of the critical link between learning and the broader empowerment of women. “A key aspect of our sustainability strategy is to empower through education and these education grants aim to do just that,” Mr Hughes said. “We know that women and girls who benefit from education have a far stronger chance of entering the workforce and enjoying a strong and stable career. In fact, studies show that every year of schooling increases a girl’s future earning power by 10 per cent to 20 per cent. Applications for the 2015 grants opened on Friday and will close at 5pm, Friday, April 24, with winners announced on May 22, 2015. Applications from primary schools need to be 200 words or less, high school/secondary college students need to be 400 words or less; while those from tertiary student/workers need to be 600 words or less. Grant application forms and further information are available from Westpac’s website www.westpac.com.fj and from all Westpac branches.